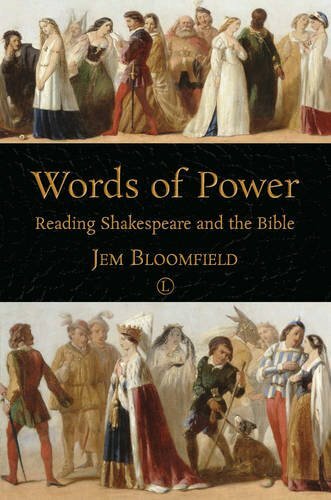 My book, Words of Power: Reading Shakespeare and the Bible, was released in May 2016 by the Lutterworth Press in Cambridge. It’s written for the general reader, and takes a look at the way these two collections are treated as “sacred texts” in modern culture. Along the way it explores questions about the canon, textual criticism, performance, quotation and who “owns” these works. There are spaniels, bishops, statues, camp portrayals of Osric in Hamlet and lots of controversy across many centuries. Below are a few things readers and reviewers have said about it. The publisher is currently offering it at a discount and there is also a Kindle edition.